Stop-motion animation is a style of animation that has captivated audiences for over a century. It involves making a model which can be moved in small amounts, taking a still image of it, moving the model and then taking another image – and then repeating this process hundreds or thousands of times. When these series of images are played back at normal speed (usually between 24 and 30 frames per second), it appears that the scene has been given life and moves freely on its own. Eadweard Muybridge was a significant figure in the discovery of stop motion when he used multiple cameras to capture motion and projected these using a Zoopraxiscope (otherwise known as a Zoetrope). His famous series of photographs from 1878, ‘The Horse in Motion’, could be attached to the circumference of the Zoopraxiscope and rotated rapidly to create the illusion that the images are played back in motion. Many feature films have used stop motion to critical success, an early example of which is the 1898 US film The Humpty Dumpty Circus, created by J.Stuart Blackton and Albert E. Smith, which showed a circus in motion. Sadly, this film has since been lost but some of their early work still exists, such as The Enchanted Drawing from 1900 which shows an artist sketching a portrait that changes expressions and combines live action with a 2D sketch. An iconic example of stop-motion within feature films can be found in the original Star Wars trilogy where they used stop-motion animation to great effect in The Empire Strikes Back (1980, Irvin Kershner) where the AT-AT walkers make their appearance on the planet Hoth. Unsure how these machines would be brought to life, Dennis Muren and his team at Industrial Light & Magic decided to use Stop-Motion animation, believing this technique would be appropriate for the machines. The AT-AT machines were built and placed onto a real set rather than animated in front of a blue screen. 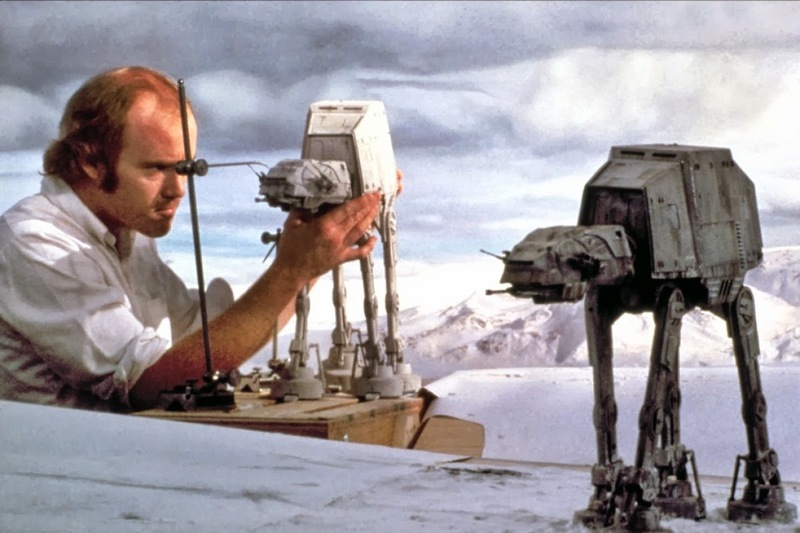 To access the AT-AT walkers, the animators would appear from behind a trap door placed within the set. 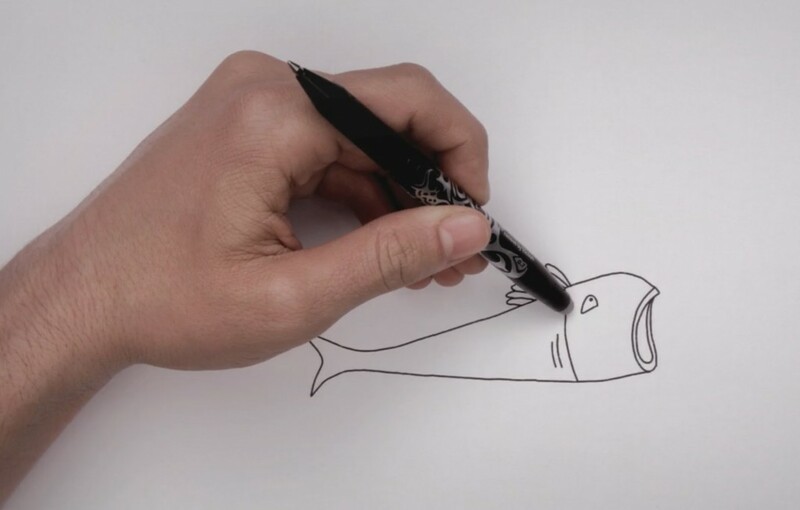 Normal stop-motion animation can sometimes have a distinctive staccato effect because the animated model has been captured when the model was perfectly still. To avoid this for the AT-AT walkers, Industrial Light and Magic developed an advanced stop-motion technique called Go-Motion. Go-Motion is a technique similar to stop motion, but incorporates motion blur by shooting each frame while the model is moving. The initial inspiration to use stop-motion for the AT-AT walkers was taken from the original 1933 classic King Kong (Ernest B. Schoedsack, Merian C. Cooper) and from the work of animator Willis O’Brien. There are a couple of people who have influenced me personally. The first is animator Willis O’ Brien who worked on The Lost World (1925, Harry O. Hoyt), but is probably better known for his work in King Kong. 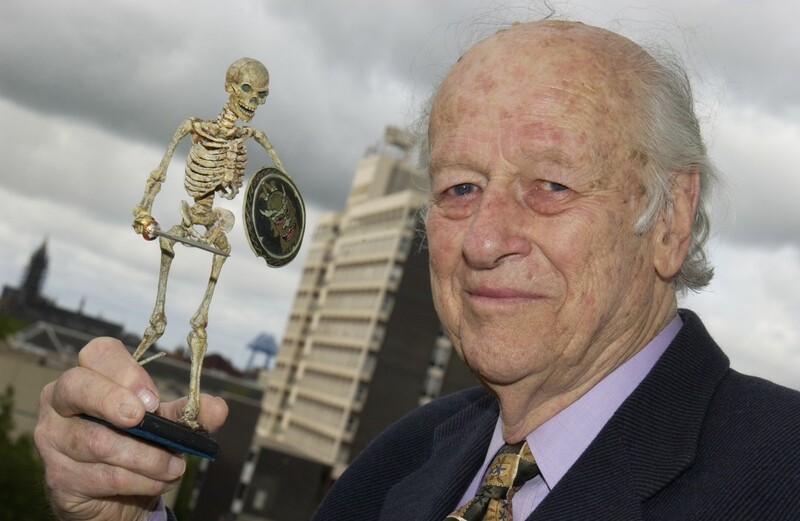 However, it is arguable that Willis O’ Brien’s protégé, Ray Harryhausen, has become a greater influence for stop motion animators. After working with O’ Brien on Mighty Joe Young (1949, Ernest B. Schoedsack), Harryhausen went on to animate in films such as Jason & The Argonauts (1963, Don Chaffey) (The skeleton battle scene has stayed with me since I was a kid), The Golden Voyage of Sinbad (1973, Gordon Hessler), Clash of the Titans (1981, Desmond Davis) and many more. 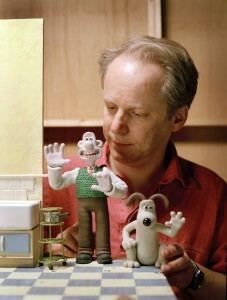 More recently there have been a couple of important figures in the stop motion world, the first of which has to be Nick Park. His creations of Wallace & Gromit, Creature Comforts, Shaun the Sheep and Chicken Run are loved by all. Also keep an eye out for Nick Park’s latest film Early Man which is currently in the pre-production stage and will once again see him in the director’s chair. Also it is worth mentioning Peter Lord who is also a director and co-founder of Aardman animations. Peter Lord directed Pirates and also co-directed Chicken Run with Nick Park. Along with David Sproxton, the two of them formed Aardman and created Morph. As a child I loved Morph and recently, we see Morph returning with brand new episodes. I believe Phil Tippett’s work deserves a mention too. Phil Tippett worked as an animator on many popular movies throughout the late 70s and 80s, such as the original Star Wars trilogy (including the AT-AT walker scene), Robocop, Willow, Indiana Jones, Starship Troopers and the Twilight Saga to name a few. More recently he has been directing his own video Mad God, which features experimental animation set in a Miltonesque world of monsters and mad scientists. So, where to begin? What equipment will I need? How long will it take to create my animation? Do I need to buy any software? There are probably lots of questions you may need an answer to, but let’s start from the beginning. First of all, it’s probably best to note that stop-motion animation takes a long time to create and to perfect. So patience will be a key requirement to create a great piece of animation. Try not to get frustrated and most importantly of all, have fun. What type of stop-motion animation would you like to create? Plasticine animation such as Wallace and Gromit is just one type of stop-motion animation. This type of animation would require you to use an armature for any characters that you create. This is a bipedal skeletal type figure that you will create your character around, giving the plasticine strength so that you can pose your figures freely. Without an armature, the plasticine would bend easily and could potentially ruin an animation mid scene. 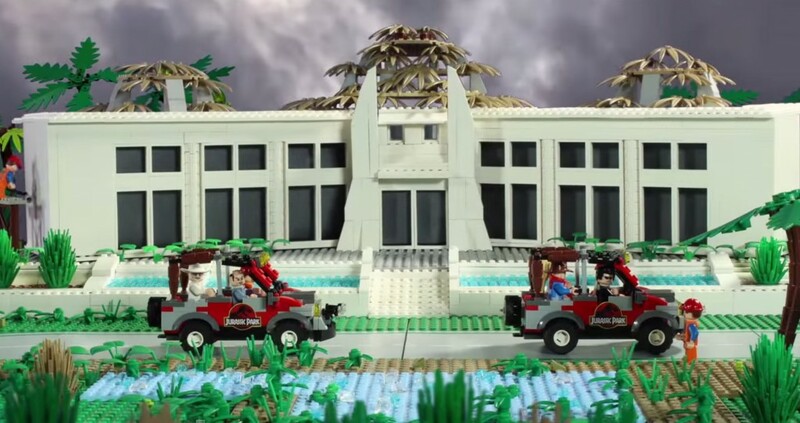 Lego animations are a hugely popular, very creative and an inexpensive way of creating stop-motion animations. If you are interested in this type of animation, there are a lot of examples that can be found on YouTube and are probably more well known as ‘Brick Films’. Lego is easily customizable too which can provide really interesting animations. When animating with Lego, use a Lego plate as your base which will help with placement and timing for your animations, as well as keeping all your characters and props sturdy. A 2D approach might be the style you desire. This could be something that is a sketch based animation and can be achieved by shooting from a bird’s eye perspective, down onto your subject. For your setup, animate onto a 2D surface such as paper, or even a whiteboard. We would then start by typically drawing a little bit of our sketch, then taking a picture, drawing a bit more, then taking another picture. This would give the illusion that your sketch has come to life. Traditional cel animation requires drawing on separate pieces of transparent cellulose acetate. Normally there would be more than one layer of this. For example, one layer will have a painted background, one for the foreground and one layer for your character. As you can imagine, traditional cel animation can be very time consuming as the animator would have to draw every frame of the characters animation. Pixilation is a stop motion technique that uses real people as its subject. The live person moves slightly frame by frame just as a model would, creating a puppet effect. One of the pioneers of this style was Canadian filmmaker Norman McClaren. Made in 1952, his film Neighbours went on to win an Oscar for Best Documentary, Short Subjects. Pixilation is still popular today and more recently, In 2009 Coldplay released a video for Strawberry Swing highlighting the use of Pixilation. Post it note animation requires positioning individual post it notes onto a flat surface such as a wall to create an image. These will then be changed frame by frame to create an animation with a pixelated look. Perhaps not quite as popular as other styles, but the final video can be just as creative and rewarding. Maybe not directly an animation, but I believe you can consider a timelapse to be a type of stop motion all the same. A timelapse involves taking stills at a lower frame rate than the video is played back at. For example, if I captured an image every 10 seconds and then played back at 30 frames a second, my subject’s motion would be sped up considerably. This effect is used a lot throughout nature and landscapes. A few good time-lapse subjects include sun rise; cloudscapes, plants growing or busy cities. A recent example of this technique can be found from the opening titles of the 2013 hit Netflix TV show, House Of Cards. These are just some examples of the different types of stop-motion animation that you can create. 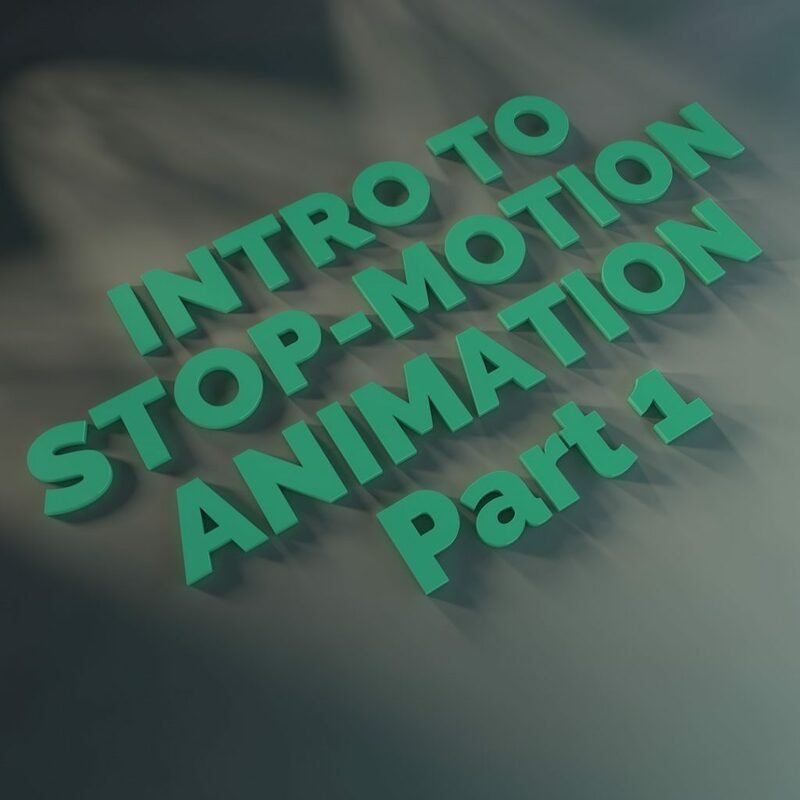 So, as you mull over the type of animation you would like to create, I will cover what you will need to get started in part 2 of my blog.